Tool Blog News What Is The Bosch Push-Pull Saw And Do You Want One? I came across an interesting tool called a Push-Pull saw that is available in Europe by Bosch. It is unique in that it is almost like a cross between a table saw and a radial-arm saw. I know those tools sound like an impossible match, but Bosch managed to bring the two tools together. 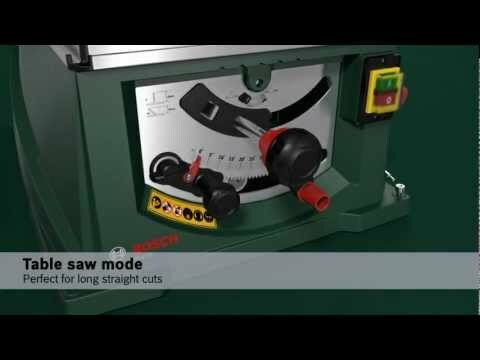 The Push-Pull saw looks like an ordinary table saw at first, and it can be used just like a table saw, but it also has this feature that allows the blade of the saw to be pulled forward into your material. It sounds weird at first, but lot of people use their table saws to make mitered cross cuts, and this might actually be a better way to do it. 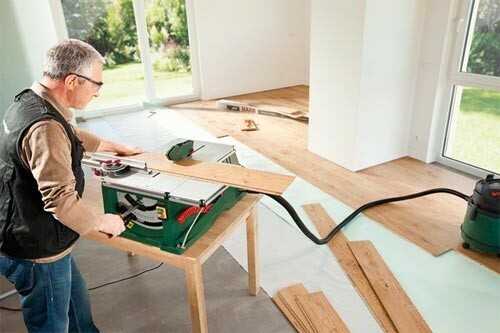 It sounds like it could be a great tool for flooring installers because it could replace the need for both a table saw and a miter saw. The Bosch Push-Pull saw is not available in the USA but I did find a Bosch patent for it in the US. If the saw does come to the USA (maybe with a Skil name on it) would you be interested in it? Be sure to check out the video to see it in action. The NEW PPS 7S Table Saw from Bosch! The PPS 7S is the perfect combination of table saw and sliding mitre saw. The 2-in-1 function enables high precision rip, cross and mitre cuts.